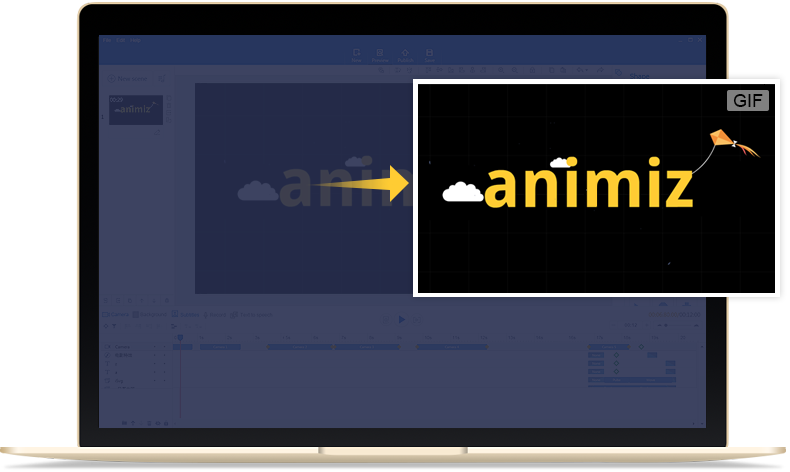 Animiz allows you to directly publish your animated videos online. 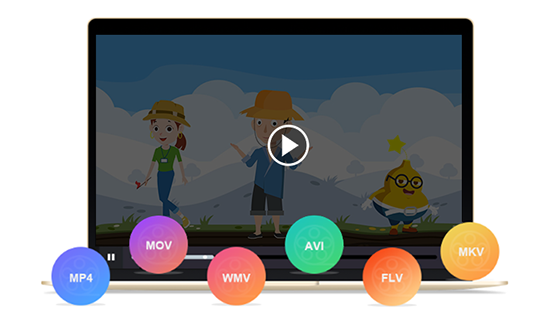 You can not only share your videos online (YouTube, Facebook, twitter, etc) right away but also watch your video presentations on different mobile devices seamlessly anywhere anytime. Just create high-definition offline videos in 6 different formats (.mp4, .mov, .wmv, .avi, .flv, .mkv) based on your need. In order to ensure a better visual experience, you can customize video size, frame rate and voice rate before publication. 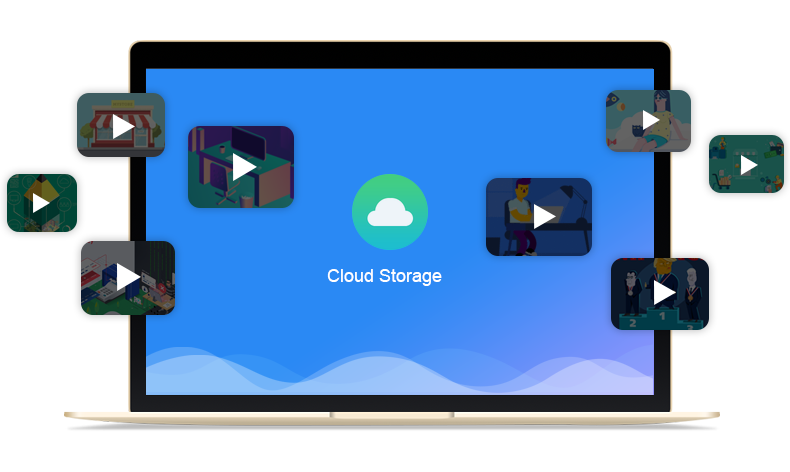 Animiz enables you to save your project in GIF format. You can not only decide whether to play the GIFs on a continuous loop or not, but also customize the Gif size and frame rate as well.